WOW, This one is a beauty! You will fall in love with this 3 bed 2 bath 1860 sq ft home on a conservation lot in the coveted Pebble Creek community. NEW ROOF 2014, NEW HVAC AC 2017. Beautiful Living room, family room and formal dining room, all with NEW BRAZILIAN CHERRY flooring, and NEW Elegant 5 1/4" BASEBOARDS throughout the home. Eat in kitchen w/ Breakfast bar and all NEW STAINLESS STEEL Appliances. NEW VINYL PLANK flooring in the bathrooms. Beautiful MARBLE surround Wood Burning Fireplace in the large Family Room w/ sliders leading to the screened lanai and Large NEWLY FENCED backyard w/ Elegant Fountain and Fire pit for relaxing or room for the dog to roam. Large master retreat w/ walk in closet & master bath w/ Garden tub, separate shower and dual vanities. Secondary bedrooms are also ample size w/ NEW LAMINATE flooring. Home also has a NEW WATER HEATER & NEST THERMOSTAT. All of this on a Private CONSERVATION lot and no side neighbors on one side. Beautiful fountains in front & back and fire pit are included. Washer/Dryer also included. 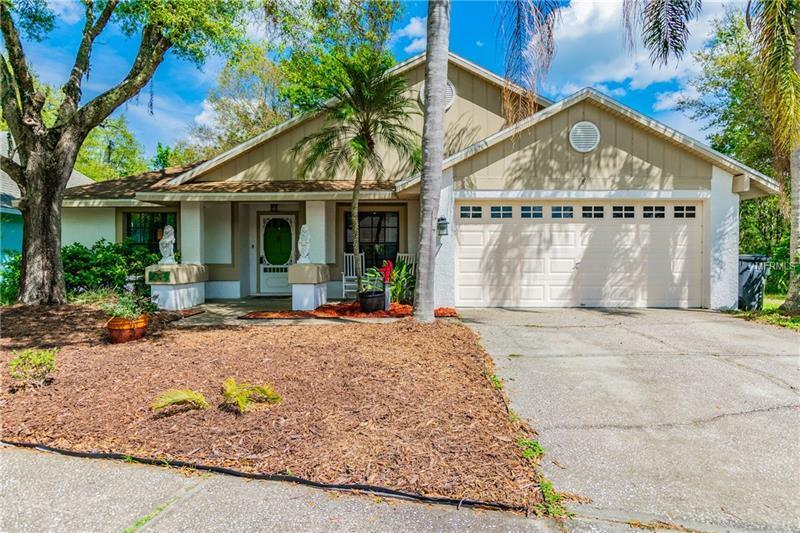 If you are looking for a Move in Ready, Beautiful, Well Maintained Home to relax and Enjoy the Florida Lifestyle...it doesn't get better than this. Community amenities include a pool, tennis courts, basketball courts, playgrounds and community center.